we think that these pro-fracking views are a cause for concern. to support the Beddington Lane incinerator once they were elected. possibility of bedrock degradation causing earth tremors. If elected on 22 May, we will oppose tracking in our community. The New Westfield Croydon shopping center is promising to generate new jobs for the local community when it is constructed and completed at a specified time. The unregulated UK housing market, is a stumbling block for first time buyers and rental tenants in getting unto their housing ladder, its a shame and a failure for the coalition government of the Conservatives and Liberal democrats. Can new Labour take this initiative and address this important issue which is blighting the local communities across the UK, i hope politicians can listen to their electorate and constituencies. 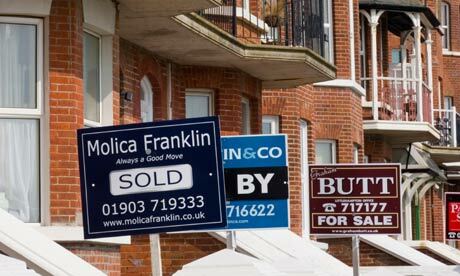 Estate agents are to be given a clean bill of health and escape a regulatory crackdown when a year-long investigation by the Office of Fair Trading (OFT) reports its findings later today. Despite repeated calls over a number of years by consumer bodies and even some agents’ groups, the OFT will conclude that the industry is generally working in consumers’ best interests and that a regulatory regime is not required. Over the last 12 months, the OFT has been investigating all aspects of the process of buying and selling homes in the UK, including price competition, quality of service, and whether the industry needs to be regulated. At present anyone can set up as an estate agent. Despite the huge sums of money at stake, no qualifications are required. Peter Bolton King, the chief executive of the National Association of Estate Agents and one of those who has led the call for better regulation, said he was disappointed. He said the OFT’s decision was in stark contrast with the views of the Department for Communities and Local Government, which is proceeding with the full regulation of lettings agents. Today’s report concludes the second investigation of the industry in six years. Back in 2004 the OFT was accused of “bottling out” by the Royal Institution of Chartered Surveyors, after it stopped short of demanding legislation of the profession. In March last year the ombudsman for estate agents, Christopher Hamer, reported that disputes with estate agents involving property sales had only fallen by 3%, despite a 60% drop in the number of properties changing hands. The OFT which publishes its report at midday today, declined to comment.